We all know about the Chinese dragon, and how it symbolize power, strength, good luck, and the ability to control water. But a less known fact about them is their love of old men. 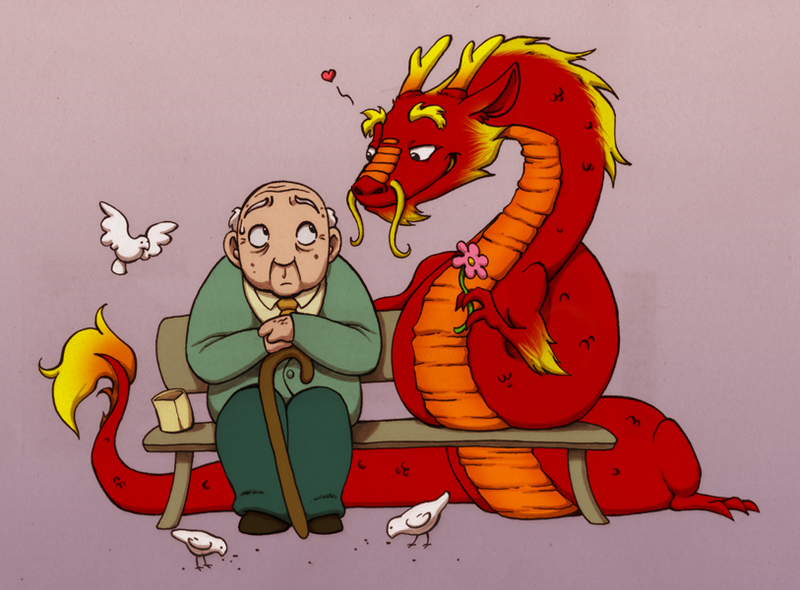 Most other mythical creatures in Asia prefer young women or boys, but the dragons differs from the rest by preferring elderly men. This one is a real Casanova who knows where to find the hottest guys in town. Dun Duna Dun DUN! OHHhhhh YEEAAAA! That is playing in the background of this picture! !